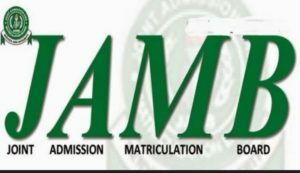 This article is for those who scored low JAMB score and how they can still make good use of this low score to secure an admission. That you scored 140,150,160,175 and 179 don’t mean that you should go and sleep and be waiting for jamb next year. Did you score a low jamb score in the just concluded jamb exams? Are searching for a list of Universities and polytechnics both federal and states that will still accept you despite your low performance in JAMB? then you should calm down and go through the listed details we are going to share with you all. Most JAMB candidates didn’t even bargain or expect to score low in JAMB but due to one error or the other, or due to some technical problem that they experienced in the CBT center on the date of their exams this resulted to low score . While some candidates didn’t actually prepare very well for the exams, probably they have one or several activities that deprived them from studying their books. Now that you have seen your score and it’s not up to the score of your school of choice, you don’t necessarily need to fold your arms and do nothing. We understand how you fee, the impact of the sad news immediately you printed your jamb slip that is why we had to create this post to help you out. We expect you to Go through the list of schools that accept jamb score from 150 to 180 carefully and make your final decision. We understand that some candidates won’t like some of the schools we listed above probably due to their distance or their school fees structure. If you don’t like a school you can still just use them to gain admission first then in your 200 level you can apply for a transfer into another institution of your choice.